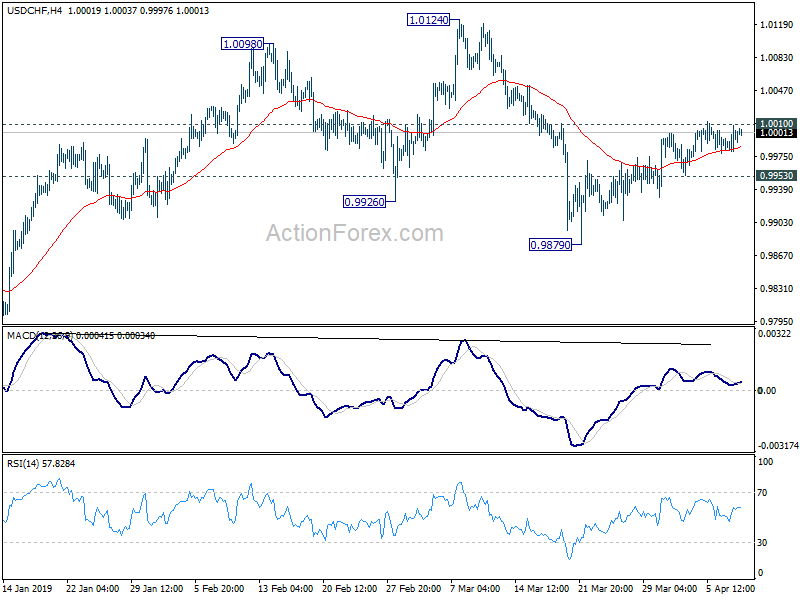 Intraday bias in USD/CHF remains neutral for the moment. On the upside, sustained break of 1.0010 will suggest that pull back from 1.0124 has completed. Intraday bias will be turned back to the upside for 1.0124/28 resistance zone. However, break of 0.9953 minor support will indicate rejection by 1.0010 and turn bias to the downside for 0.9879. Break there will resume the fall from 1.0124 to 0.9716 key support. In the bigger picture, focus is back on medium term trend line (now at 0.9865). Decisive break there will argue that whole rise from 0.9186 has completed. 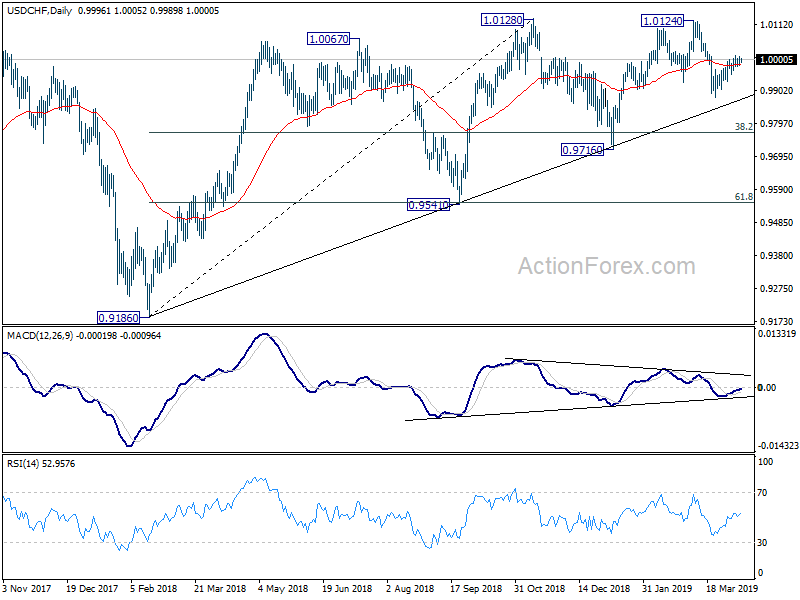 Further break of 0.9716 will confirm reversal and target next support level at 0.9541. Nevertheless, there is still a chance that price action from 1.0128 are forming a consolidative pattern with fall from 1.0124 as third leg. If this is the case, stronger support should be seen between 0.9716 and the trend line to contain downside.